To order the group photo, go to image 522. A special thank you to TGR1.618 Photography for capturing some of the memories of the reunion. The 2016 Ealy Family Reunion Atlanta in Review. Click link below to view pictures. I’m excited to announce that plans have begun for the 2018 Ealy Family Reunion in the beautiful Smoky Mountains of Gatlinburg, Tennessee. 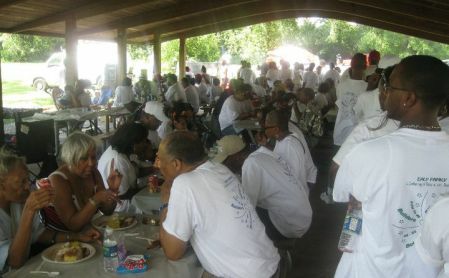 Our first reunion was held in 1974 in Detroit, Michigan and has continued every two years. Following that historic precedent, this will be our 23rd family reunion for the descendants of Robert "Big Bob" Ealy of Leake County, Mississippi. Born into slavery in North Carolina and transported to Leake County, Mississippi as a young man, Big Bob had many children. At least 17 of his children have currently been documented, and his wife, Jane Parrott Ealy, was the mother of 12 of them. The Ealy Family tree just keeps on growing! First, let me introduce myself and the Midwest Chapter Planning Committee. My name is Nacsha Ealy Green, Chairperson. I am the daughter of Larry & Donna Ealy of Detroit, the granddaughter of Willie Albert Ealy (1921-1995), the great-granddaughter of Elijah “Bung” Ealy (1881-1987), and the great-great-granddaughter of Paul Ealy (1859-1943), one of Big Bob’s sons. I am very proud to be an Ealy, and I am honored to serve as Chairperson. Thirdly, I also would like to acknowledge and give thanks to the previous chairperson, Sandra Richardson, and her committee members for an outstanding 2016 reunion in Atlanta, Georgia. The 2016 Ealy Reunion will truly be a tough act to follow! Lastly, but certainly not least, the planning committee has started making preliminary plans. The reunion is slated to be held Thursday, July 19 – Sunday, July 22, 2018. Mark your calendars! We will be planning fundraising activities over the next few months to decrease the cost of attendance. Please take the opportunity to participate in these forthcoming efforts to lower costs and to make the reunion affordable for more families to participate. All fundraising proceeds will benefit the family as a whole group, not individuals, and will be applied towards registration, incidentals, and administrative costs. Additional information about the reunion, including fundraising efforts, registration information, hotel information, and etc., will be available on our family website, www.ealyfamily.org, and also on our Facebook group page. Should you wish to volunteer to help, or if you have questions, comments, or concerns, please contact me, Nacsha, at 313-308-6655 or email me at BobEalyFamily2018@yahoo.com. Please feel free to duplicate and forward copies of this letter to family members who may not have received this welcome letter or may not have access to the internet. Also, please send contact information (name, address, and/or e-mail address) of other family members that we may not have to BobEalyFamily2018@yahoo.com. In 1974, the late Mrs. Liggie Marie Ragsdale McDougal, the daughter of Annie Ealy Ragsdale Nichols and the granddaughter of Paul Ealy, had a vision to unite the descendants of Bob & Jane Ealy. 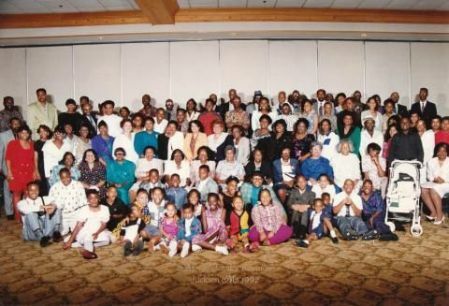 She then organized the first Ealy Family Reunion. It was held at Belle Isle Park in Detroit, Michigan. 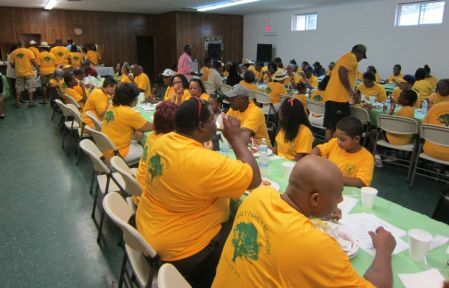 Subsequently, the Ealy Family Reunions have been held biannually in various states. NOW AVAILABLE! CLICK HERE TO ORDER. Ealy Family Heritage, Documenting Our Legacy is a fascinating body of work that not only documents the Ealy Family’s history back to the 1700s, but it also captures the history of the Leake County, Mississippi communities where the family’s presence dates back to circa 1835. That was the time frame when the family patriarch, Robert “Big Bob” Ealy, was transported to central Mississippi from Nash County, North Carolina as a young man. His enslaver, William “Billy” Eley, used him as a breeder. With his wife Jane Parrott, Big Bob Ealy had 12 children. An additional three children have been found. Because of his forced task of slave breeding, more will likely be unearthed in the future, since DNA technology has entered the genealogy scene. This first volume documents over 3,500 descendants. The family ancestral homes are the Lena and Tuscola communities of Leake County, Mississippi, but many descendants also resided and still live in Scott, Rankin, Hinds, and Madison County, Mississippi. During the 20th Century Great Migration, scores of Ealys migrated to Chicago, Detroit, Indianapolis, Milwaukee, Las Vegas, and other points North and West. 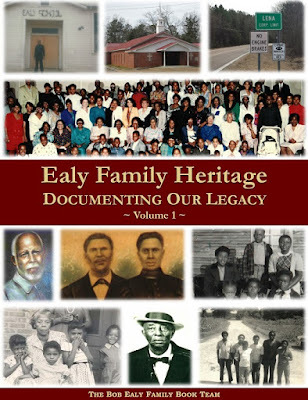 Ealy Family Heritage, Documenting Our Legacy highlights four key areas – family, community, church, and school. These topics help to provide a comprehensive history of the Ealy Family. A family history is more than just names, places, and dates. That’s boring. However, this book is like no other family publication because it’s filled with a chockfull of stories and memories from family elders and others about the family, the Lena and Tuscola communities, the churches, and the early schools for African Americans in southern Leake County. Oral history is a major part of family history research, as it gives life to the deceased ancestors. It helps the reader to form mental pictures of their lives, the good and the not-so-good. This book also contains a myriad of pictures that came from the dusty storages, old photo albums, basements, and closets of many family members, thus providing faces to many of the names from the past. Ealy Family Heritage, Documenting Our Legacy was authored by Melvin J. Collier, a renowned genealogy researcher and author of two genealogical books, Mississippi to Africa, A Journey of Discovery and 150 Years Later, Broken Ties Mended. Collier is a great great grandson of Big Bob & Jane Ealy. He first heard his paternal grandmother, Willie Ealy Collier, utter Big Bob’s name from her lips when he was a young teenager. Consequently, he began his genealogy research of the Ealy Family in 1993, nearly three years after his grandmother’s passing, recalling much of the information she relayed to him. His research of the family continues today. He has currently traced the Ealy Family’s history back to Big Bob’s mother, Annie, who was born circa 1795. Her name was given to numerous descendants. Collier discovered an unfortunate saga that involved the “ownership” of Annie and three of her children. They were the subject of an 1832 North Carolina court case, William Hunt vs. Edwin Bass et al, 17 N.C. 292, which went all the way to the N.C. Supreme Court. Collier’s research has also taken Jane Parrott’s family history back to the 1700s to Lunenburg and Brunswick County, Virginia. He has also uncovered autosomal DNA evidence of the family’s African roots. In Ealy Family Heritage, Documenting Our Legacy, Collier uniquely combines the process of genealogy research with story-telling. He discloses how he researched the enslaved ancestors of Big Bob and Jane, while still telling the stories of their lives and their descendants’ lives during slavery and afterwards. This also makes this book a great publication for even non-descendants who are interested in African American genealogy research and slave ancestral research. This book can also serve as a great template on how to structure and write a family history book. Whether if one is an Ealy descendant or not, this book is a great educational resource. For more info, contact us at BobEalyFamily@gmail.com. This 1870 Leake County, Mississippi census record is the first official record of Bob Ealy and his family. On July 8, 1870, the census-taker for the Lena community recorded the Ealy household, headed by Bob. In the house were his wife Jane and children, Annie, Andy, Robert, Paul, Augustus, Anderson (Haywood), Martha, Penny, and a 4-month baby who was unnamed. Nicholson was born the following year. Older children, John and Adeline, were married in their own households. Will was omitted for unknown reasons. The Ealy Family’s presence in the state of Mississippi began in about 1835. That was the approximate year when an enslaved young man from North Carolina was brought to Mississippi, leaving behind family members he would never see anymore. This man became Robert Ealy, but he was mostly called “Big Bob.” Big Bob was among over 400,000 enslaved people from Virginia, North Carolina, South Carolina, and Tennessee who were brought to Mississippi during the early 1800's. Mississippi had become a state with fertile, cotton-producing farmlands. Many enslaved African Americans were sold away from their families to slave-owners who were already in Mississippi. Like Big Bob, many other enslaved African Americans came with their enslavers who moved to Mississippi to take advantage of the profitable cotton crop. Research has found that “Big Bob” Ealy was originally from Nash County, North Carolina. There, he was born into slavery around 1814, according to census records. Research findings also indicate that he grew up on the farm of Jesse Bass near Spring Hope, North Carolina. Big Bob remained on the Bass farm throughout his childhood years with his mother Annie and siblings. However, in 1822, Jesse Bass wrote his will and left to his youngest daughter Frances Bass two young slaves named John & Bob. There’s a preponderance of evidence that this “Bob” was in fact our “Big Bob.” He was about 8 years old at that time. In the mid 1830’s, Frances Bass married William W. Eley, also known as Billy Eley, from Franklin County, North Carolina. During that time, a woman’s inheritance became the legal property of her husband. Therefore, Big Bob then became the "property" of Billy Eley when he married Frances. Shortly after their marriage, Billy & Frances Eley moved to Mississippi around 1835 with her brothers, Isaac, Gideon, Edwin, & Council Bass, and her older sister, Elizabeth, who settled in Hinds County. They transported the enslaved people they inherited from their father Jesse Bass with them from North Carolina. Some of those enslaved people, who became Basses after the Civil War, were probably related to Big Bob. However, Billy & Frances Eley chose to settle in southern Leake County and thus Big Bob was brought to Leake County. The white Eleys were not a wealthy family, and they operated a small farm near Lena. On that small farm, Big Bob had a specific task, according to family lore. Oral history disclosed that Billy Eley used Big Bob as a breeder because he was big and strong. Big Bob was housed alone in an one-room log house for the purpose of reproducing children by other enslaved women. Family lore disclosed that he fathered over 50 children; however, he never laid his eyes on many of those children. Despite the inhumane task he was forced to perform, Big Bob’s heart was a young girl named Jane, who was enslaved on the nearby Parrott farm owned by William Parrott, a neighbor to Billy Eley. In about 1845, Big Bob was allowed to marry, and he “jumped the broom” with Jane Parrott. During slavery, marriages between slaves on different and nearby farms and plantations were common. Big Bob was allowed to visit with Jane, likely on the weekends. However, because the Parrott farm was adjacent to the Eley farm, he likely made secret visits at night to spend time with his beautiful wife, who bore him a number of children. Grandma Jane had been born into slavery around 1829 on William Parrott’s farm in Lunenburg County, Virginia. During that time, William Parrott and his wife Betsy Johnson lived on a 300-acre farm near Lunenburg, Virginia. Based on census records, William Parrott moved to Leake County shortly before 1840 with around ten slaves. Those enslaved people included Grandma Jane, and possibly her mother, several siblings, and possibly her father as well. They all were transported to Mississippi in wagons, but there is evidence that William Parrott may have stopped in Georgia and stayed there for awhile before making Leake County his final destination. Family lore places our presence in the Macon, Georgia area at one time. William Parrott had a number of family members who migrated to Georgia. In 1862, President Abraham Lincoln signed the Emancipation Proclamation, which was to free enslaved African Americans in the South on January 1, 1863. However, most enslaved African Americans did not become free until the Civil War ended in 1865. Slavery was officially abolished on December 18, 1865. During that year, Big Bob, Jane, and their children became free people and were able to live together as a family. They lived in southern Leake County, near Lena, Mississippi. Big Bob became a landowner and farmer after the Civil War. According to the 1870 Leake County Census, Big Bob’s real estate property was valued at $550. He died after 1900 at an old age. In the 1900 Scott County census, he was found living with his daughter, Adeline Orman, who was taking care of him. With Jane, he had John, Adeline, Annie, Andrew, Bob Jr., Paul, Gus, Haywood, Will, Martha, Penny, and Nicholas (Boot) Ealy. Nathan Stiles, Mary "Angeline" (Sis) Ealy York, Tempa Ealy Allen, Ephraim Ealy, and Emaline Ealy Gordon were Big Bob's children. Big Bob was known to have a lot more children. Albert was the brother of Adaline Kennedy Ealy and Mattie Kennedy Ealy. Note: Oral history and DNA indicate that he was the son of Big Bob. Nathan’s mother, Hester Stiles, was enslaved on William Eley’s small farm with him. Note: Emaline's mother was Ruthie Harris. We are the descendants of Robert “Big Bob” Ealy of Leake County, Mississippi. This large family was birthed under the cloud of slavery when a young girl, Jane Parrott from Virginia, captured the heart of Big Bob, a young man from North Carolina. They were allowed to "jump the broom" into holy matrimony. From c. 1845 to 1871, Big Bob and Jane had at least 12 children together. Big Bob Ealy was also the father of other children, and thus the Ealy Family became one of the largest African American families in the Lena/Tuscola area of Leake County. While many descendants remained in Mississippi, many migrated to Detroit, Indianapolis, Chicago, Las Vegas, Seattle, Milwaukee, California, and other places. The 2018 Planning Committee is in the process of building the family contact database. To all of the descendants of Big Bob Ealy, we need your contact information or your updated contact information. Please e-mail the following your name, address, phone no., and e-mail address to BobEalyFamily2018@yahoo.com. If you do not desire to provide your mailing address, can you e-mail us your e-mail address? 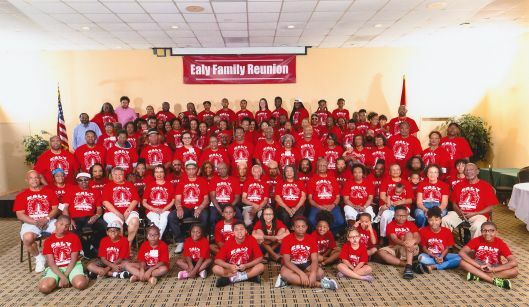 Correspondences about the 2018 Ealy Family Reunion will be mailed out, as well as e-mailed out, to everyone in the family contact database. Family Members Only: Please join the Facebook group. Thank You for visiting www.EalyFamily.org.